This post has been sponsored by PRIMP Network. All opinions are my own. This past year I have tried to get into a really good skin care regiment, and really use products that take care of my skin. I have started using high end makeup products, gentle skin care products, and taking all the necessary steps to help rejuvenate my skin. I have come to a better understanding of how important it is to really take care of your skin. For years I would use tanning beds; striving for that perfect sun-kissed glow. After a skin cancer scare in high school, I have pretty much stayed away. One product I have picked up this past fall is the PMD Beauty Personal Microderm. 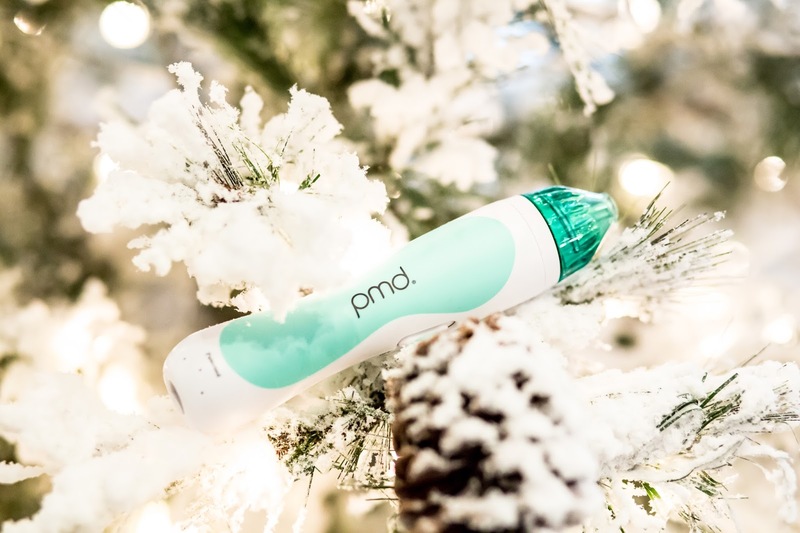 The PMD device uses spinning discs to exfoliate dead skin away and help stimulate new cell growth by removing old cells. It is regenerating your skin in a safe way, with no harmful chemicals. Lets talk about my before and after results! With this product the results are going to take time to see. It is recommended that you use the Personal Microderm device for 8-12 weeks before you start to really notice results. I am only a couple weeks in, but already I have started to see a small difference. Both of my photos are with no makeup on and were both taken right out of the shower. In the first photo I was having a small breakout. I usually do around that time of the month. I also have very sensitive skin, so I always have redness. 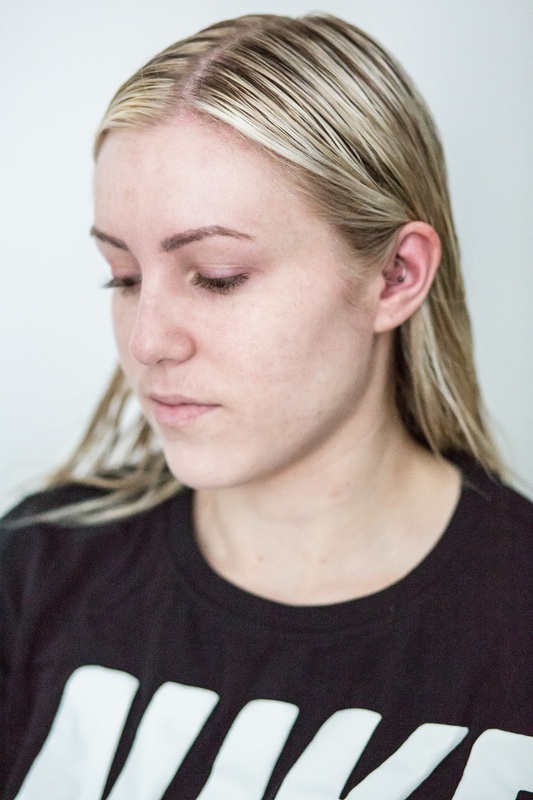 The areas I really wanted to focus on were my cheek/jawbone area, that is where I usually get rough skin or blemishes. Also my forehead. I raise my eyebrows a lot and have started to get a tiny wrinkle there. I was curious as to if it would make a difference! I was actually really surprised by my results even though it has only been a couple weeks! 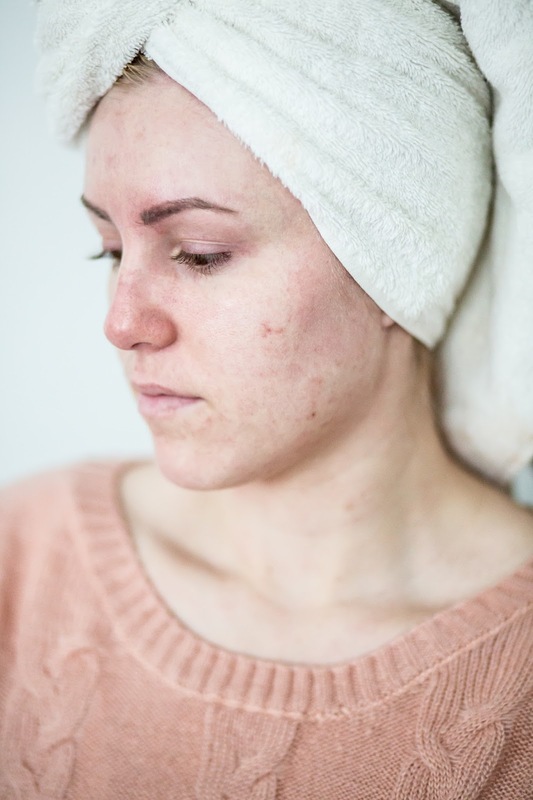 My blemish spots have already started to fade, and my skin is noticeably smoother. My 'wrinkle' in my forehead is still there, but I feel like it is less noticeable, even when I have makeup on. It doesn't settle in that line. I think the biggest thing I have noticed is how smooth my skin is! I love it! My makeup goes on so smooth and looks flawless. I feel like my skin is being exfoliated properly and it is repairing itself! It really is crazy to me how it works. I have seen quite a few people/bloggers use this product and was always skeptical about it working. I was also nervous at first figuring out where to place this spinning disc on my face, but the instructions are very clear. If you are nervous you can also look up tutorials on how to use the device! 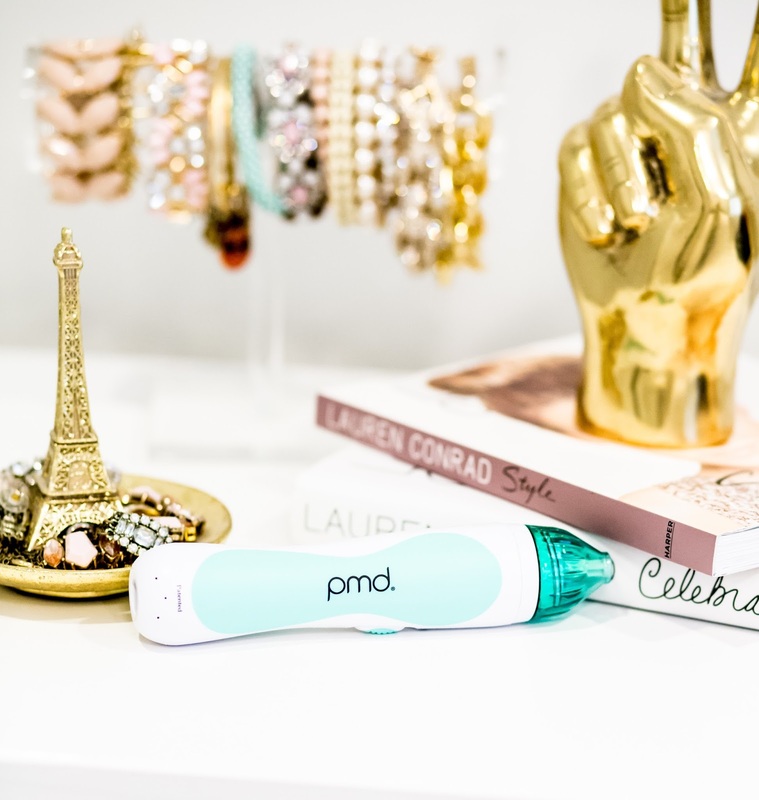 If you are interested in learning more about the PMD Personal Microderm, or shopping for one, you can find it here.